Great performance from 450PS normally aspirated V8 engine. Quattro as standard. Huge amounts of grip and traction. 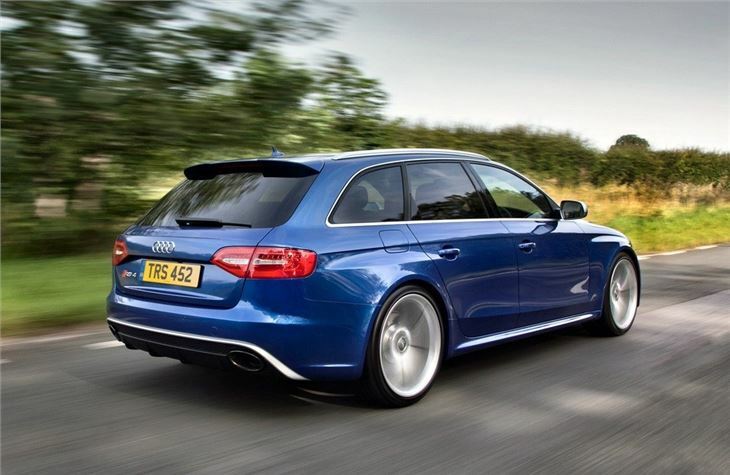 Lacks the raw edge of the previous RS4. 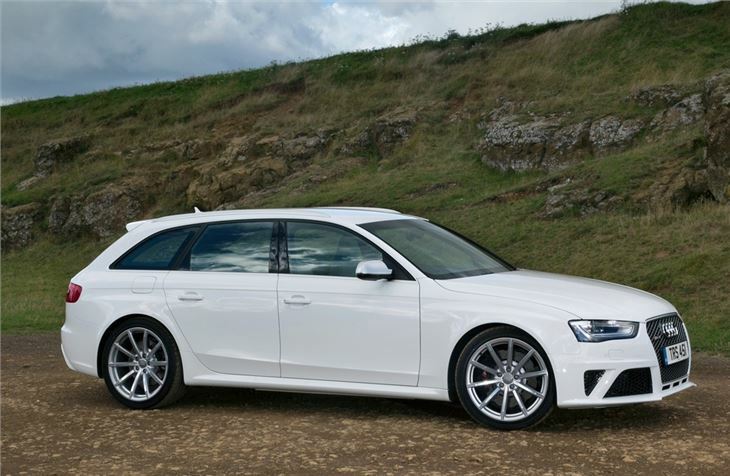 The high performance version of the new A4 is powered by a 4.2-litre V8 engine developing 450PS. This is the same V8 engine as the RS5 and the hand built high-revving unit develops 430Nm, giving it a 0-62mph time of just 4.7 seconds. 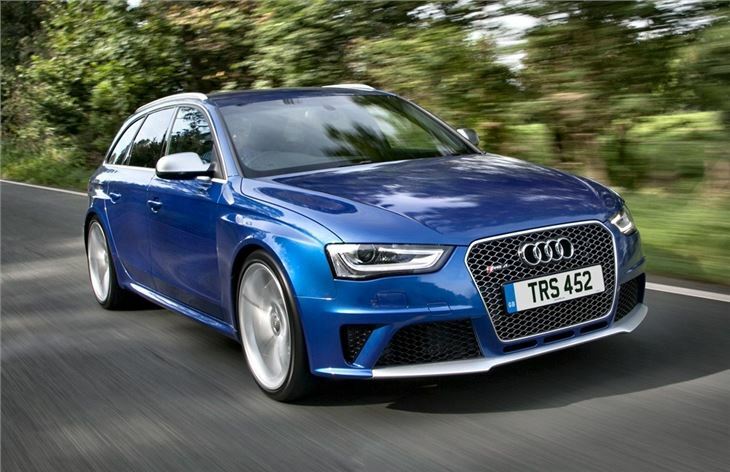 That’s slightly faster than the BMW M3 saloon which does it in 4.9 seconds. But where the RS4 really trumps the BMW is with its quattro four-wheel drive which means superior traction, particularly in the wet. There is also an advanced centre differential which can vary the power delivery between the front and rear axles with up to 85 per cent going to the back wheels. This works with a torque vectoring system which can brake the inside wheel in a corner to stop it losing traction and to make cornering sharper. 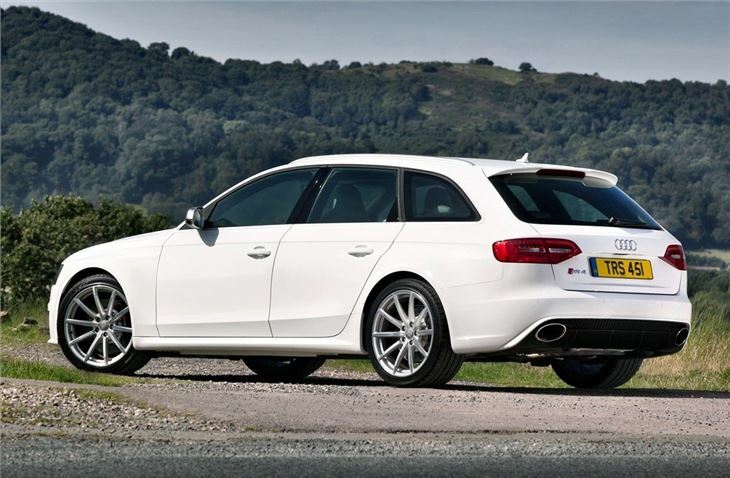 A sport differential, which actively distributes power between the rear wheels, is available as an option. Given all that power, the RS4 isn’t as thirsty as you might expect with an average claimed economy of 25.7mpg. 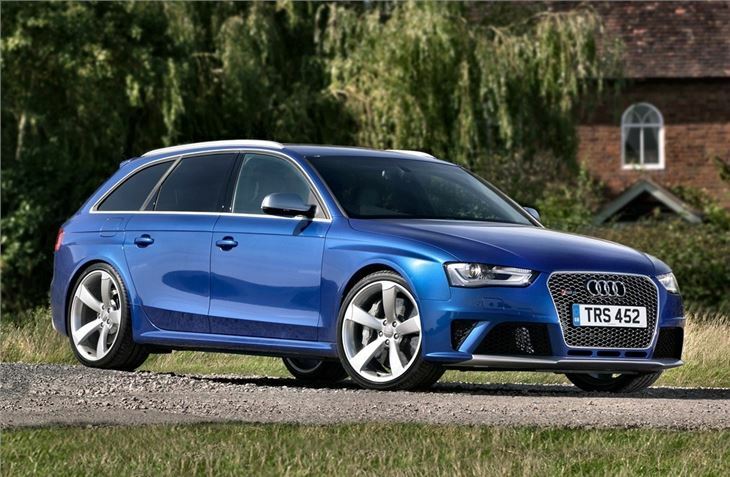 Like the RS5 there’s no manual gearbox, instead it comes with a seven-speed S tronic dual clutch automatic with steering wheel mounted paddle shifts. It also gets Launch Control which manages the clutch for optimum acceleration away from a standstill. 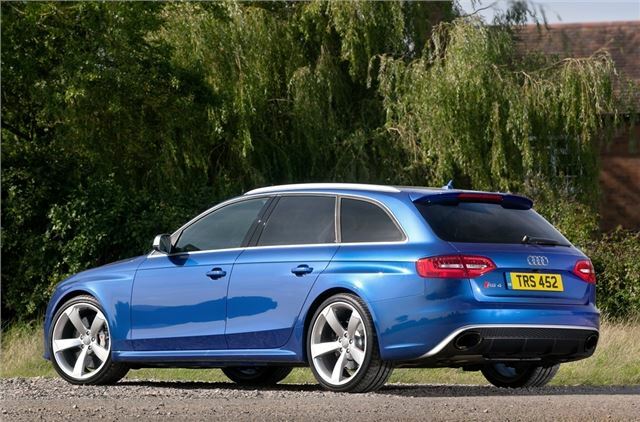 To mark it out from the standard A4, the RS4 gets flared wheel arches, a roof spoiler, chunkier bumpers and a honeycomb grille. At the back there are large oval dual exhaust pipes and an aluminium trimmed diffuser. Eight paint colours are available including two special crystal effect colours, Panther Black and Prism Silver.